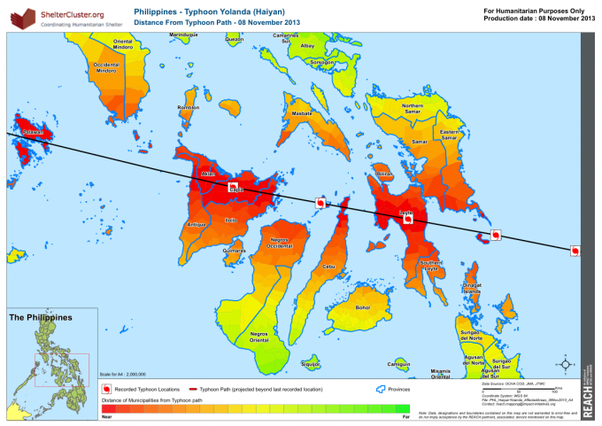 Typhoon Haiyan made landfall in the Philippines on November 8, 2013, as a Category 5 storm. It laid waste to the Visayas group of islands, the country’s central region and home to 17 million people. Haiyan was the most powerful storm in 2013 and one of the most powerful typhoons of all time. With wind speeds sustained at more than 150 mph, Haiyan was classified as a super typhoon. However, its massive storm surge was even more destructive. Local officials estimated that Tacloban City on the island of Leyte was 90 percent destroyed. The typhoon’s fury affected more than 14 million people across 44 provinces, displacing 4.1 million people, killing more than 6,000 people, and leaving 1,800 missing. 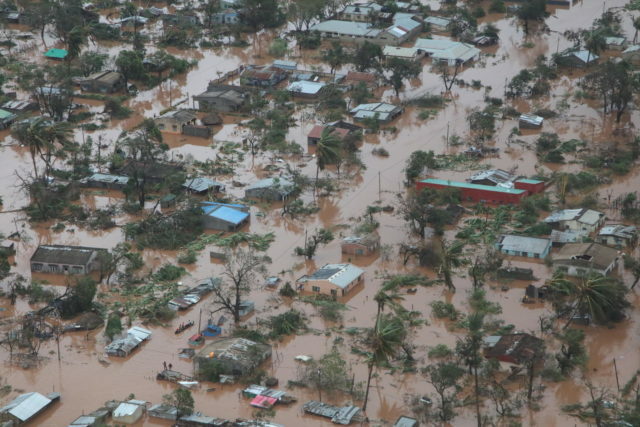 In addition, 1.1 million houses were either partially or totally damaged, 33 million coconut trees (a major source of livelihoods) were destroyed, and the livelihoods of 5.9 million workers were disrupted. While typhoons can occur at any time of the year, the peak occurrence is in late August and early September. Typhoon Haiyan was the 13th named storm of 2013 in the Northwest Pacific Basin. Nov. 2: The storm is detected as a low-pressure area in Micronesia. Nov. 4: The system is upgraded to a tropical storm and named Haiyan. Nov. 6: The storm hits Palau and parts of Micronesia. After growing in intensity for days, Typhoon Haiyan became a Category 5 storm, with wind speeds above 157 mph. Nov. 7: Haiyan enters the Philippines area; alerts, preparations, and evacuations intensify. Nov. 8: At 4:40 a.m., Haiyan makes landfall in Eastern Samar at peak capacity. It continues to spread destruction through the Visayas, the Philippines’ central island group. Nov. 9: The storm moves out into the South China Sea, heading toward Vietnam. Nov. 10: Haiyan makes landfall in northeast Vietnam, much diminished, then disintegrates into bands of rain over Guanxi, China. Why was Typhoon Haiyan a super typhoon? Is the Philippines a disaster-prone country? How can I help children and families in the Philippines? One of the most powerful storms ever tracked, Typhoon Haiyan was a “super typhoon” with sustained winds of over 150 mph. Leyte Island was buffeted by sustained winds of 195 mph and gusts up to 235 mph. Not only was the storm powerful, but it also occurred after the official typhoon season’s November 1 ending. 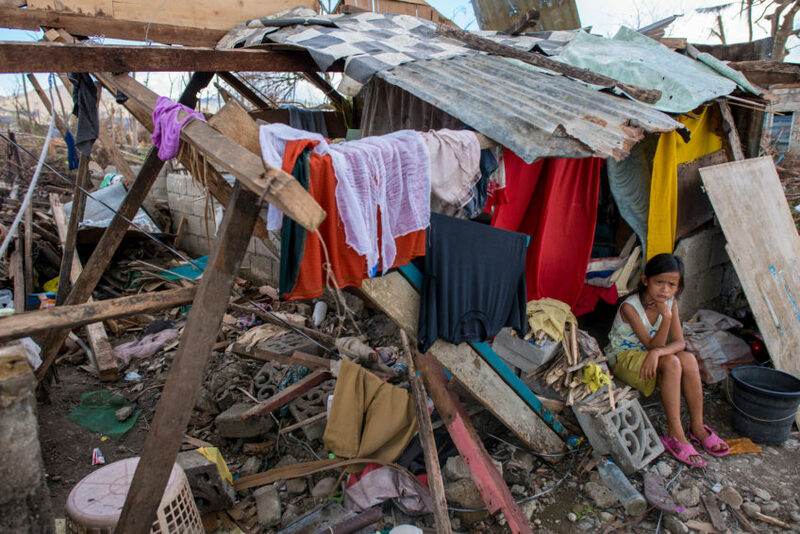 More than 14 million people were affected by the Haiyan. Typhoon Haiyan was called Super Typhoon Yolanda in the Philippines; it was given that name by the country’s atmospheric sciences agency. A typhoon is the same thing as a hurricane and a cyclone — the difference is in the location. Hurricanes occur in the Atlantic and Northeast Pacific. Typhoons, like Haiyan, are found in the Northwest Pacific Ocean. In the South Pacific and the Indian Ocean, the same type of storm is called a cyclone. But scientifically, they are all known as tropical cyclones. When there’s a bit of weather disturbance, a warm tropical ocean, moisture, and a light wind — conditions may be right to produce a cyclone. By whatever name, these storms can produce violent winds and waves, torrential rains, and flooding. Haiyan was called a super typhoon for part of its life because of it sustained winds of more than 150 mph. Wind speed, however, is not the only factor that determines the destructiveness of storms. Don’t forget about other associated hazards like storm surge, tornadoes, and flooding. The Philippines is one of the most disaster-prone countries in the world. The U.N.’s 2017 World Risk Index places the Philippines as the third most at risk of natural disasters among the 171 countries ranked. Vanuatu and Tonga ranked first and second. Not only is the Philippines at risk for disastrous weather events, but it is also in a hot zone for earthquakes and tsunamis. In fact, only three weeks before Typhoon Haiyan, Bohol island was hit by a 7.2 magnitude earthquake that affected 3 million people in Bohol and Cebu, killing more than 200 people. 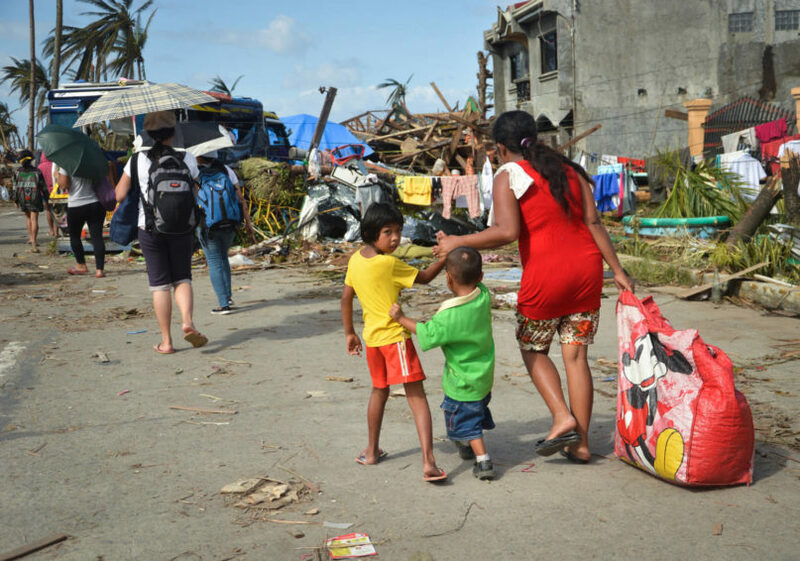 Many families were still receiving aid and living in evacuation shelters when a second catastrophe hit them — Typhoon Haiyan. 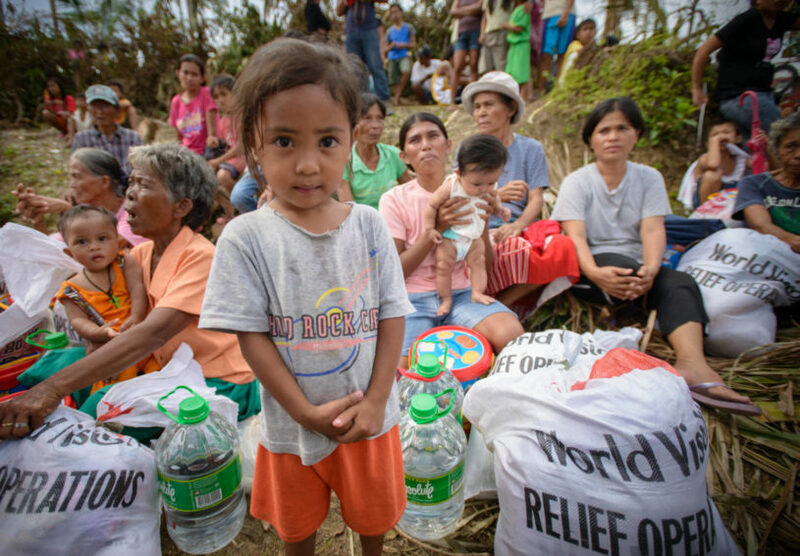 Pray for children and families affected by poverty and recurring disasters in the Philippines and other countries in the Asia Pacific region. Sponsor a child in the Philippines. When you sponsor a child, you will help change a child’s life story and the life of their family and community. 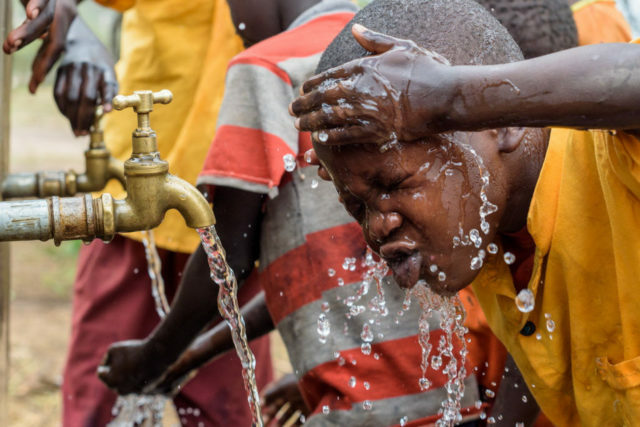 You’ll provide access to life-saving basics like nutritious food, healthcare, clean water, education, and more. 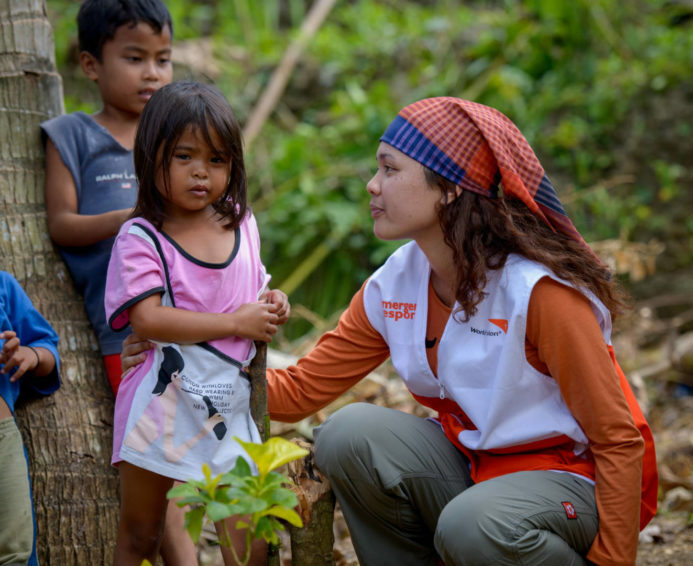 World Vision has worked in the Philippines since 1954, caring for children and building sustainable communities. Typhoon Haiyan devastated 20 development project areas where World Vision works, including in Bohol province, which had been badly damaged by an earlier earthquake. When Typhoon Haiyan hit, our staff were ready to respond. 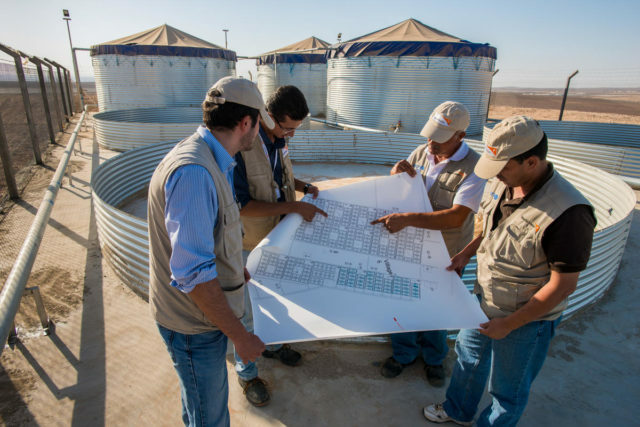 Even as they began to provide emergency relief, a top priority was to reach out to all of the nearly 40,000 children registered in World Vision’ sponsorship program. More than 5,600 children in Leyte and Antique provinces were sponsored by U.S. donors. 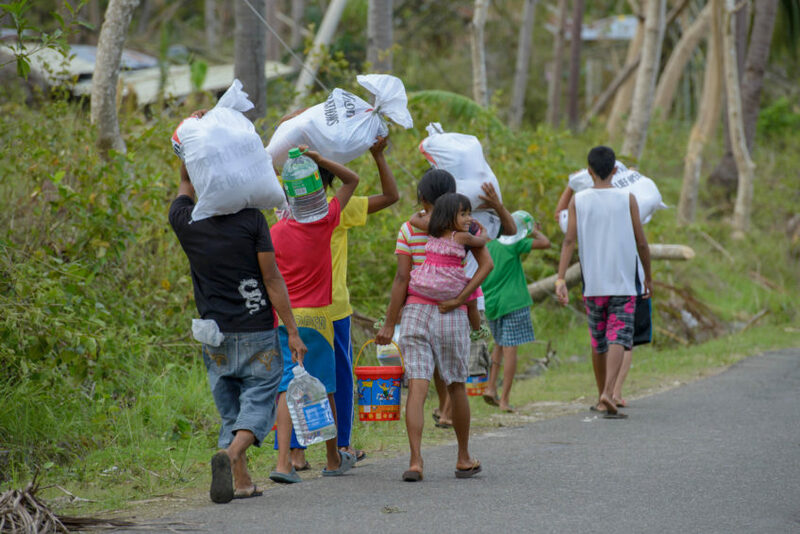 The Typhoon Haiyan response covered four areas — North Cebu, Panay, West Leyte, and East Leyte — serving 566 villages in 48 municipalities that were among the hardest hit by Typhoon Haiyan. 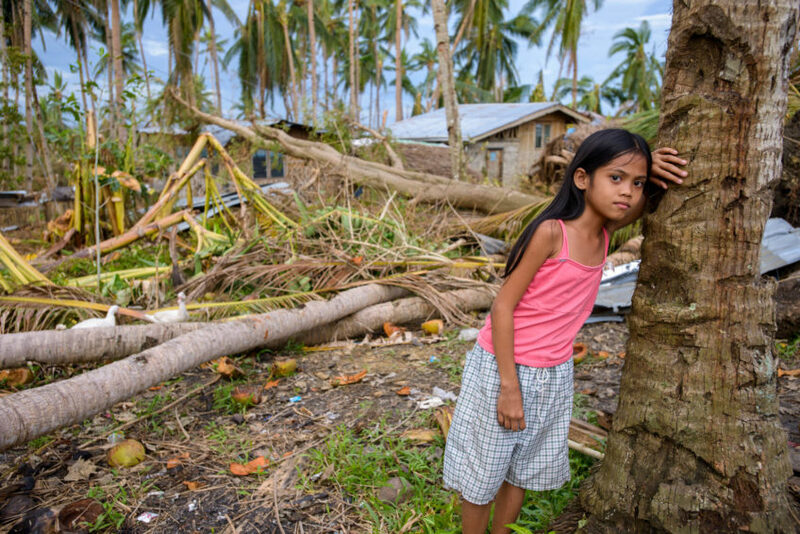 More than 1.6 million people benefited from World Vision’s work over the three years of the Typhoon Haiyan response. Child sponsorship brings hope and help for a better life to children and families in the Philippines.